A quick, pleasant read, wonderfully illustrated with large, lovely photos. Actually, the writing is largely secondary to the photos, but it does provide some context and a few interesting facts about the trees (e.g. strangler trees are fascinating). 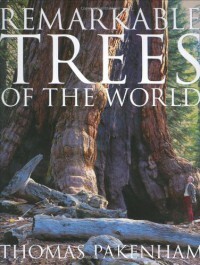 The book gives you an appreciation for trees: how long they can live (4000+ years! ), how huge and varied they can get (from a tiny bonsai to a 15,000 ton behemoth), and how beautiful they can be (Baobabs are amazing). They really are wondrous life forms.